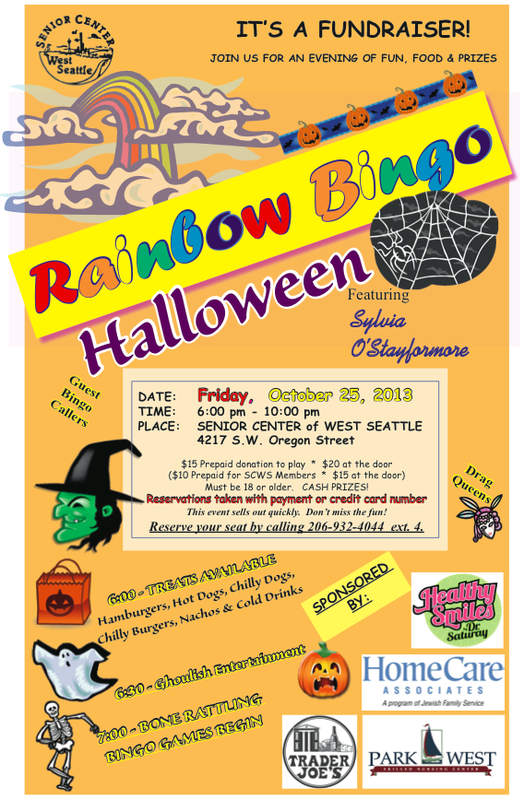 Get your costumes on and join the Bingo fun at The Senior Center of West Seattle. 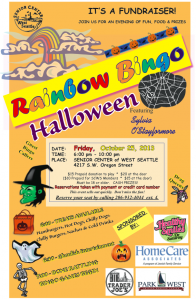 On October 25th, Friday from 6pm-10pm, Sylvia O’Stayformore will make you laugh your socks off on this ghoulish entertaining night of Bingo. The Senior Center of West Seattle is located at the West Seattle Junction at 4217 SW Oregon St.